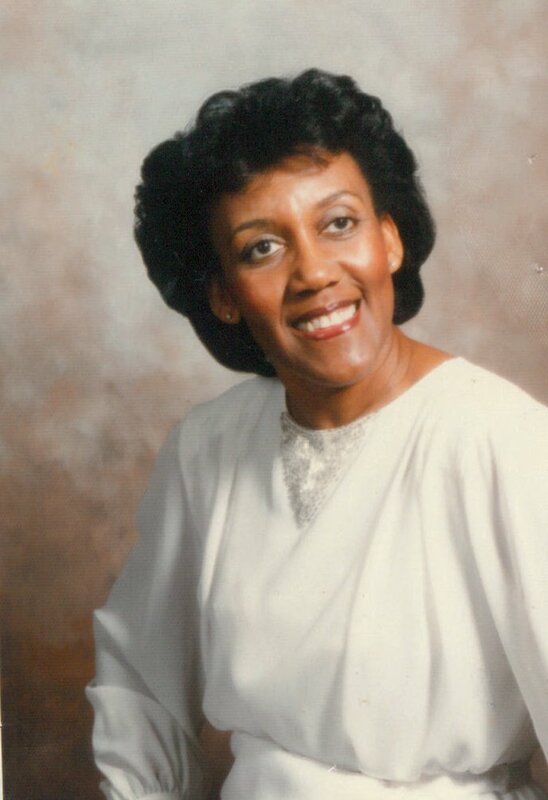 Gloria Newsome Payton entered eternal rest on Friday, March 29, 2019 at Bon Secours Maryview Medical Center. Born on September 4, 1936 in Portsmouth, VA to the late Charles Newsome and Reather Bush Newsome of Roxobel, NC. At a very early age she accepted Christ as her Lord and Savior. Mrs. Gloria Newsome Payton attended Portsmouth Public Schools and was a graduate of I.C. Norcom High School, class of 1954. She attended Norfolk State University where she majored in Elementary Education and taught in the Portsmouth Public School System for 32 years. She volunteered with: The Kids Voting Project, Shepherd’s Way Adult Home and The Well’s Theatre. She was a long time member of the L&J Civic League, Drifters Inc., and the Virginia Beach Holiday’s Inc. She was a faithful member of Celestial Baptist Church serving on the Lucille Wiggins Educational Committee and the Eliza Jones Missionary Society as Financial Treasurer. She was preceded in death by her parents, Charles (Reather) Newsome of Portsmouth, VA; brother, James Newsome of Panoma City, FL and her husband, Willie L. Payton of Virginia Beach, VA.
She leaves to cherish in her memory; nephew, Ronald Newsome (Hope), Veronica, Miles of Orlando, FL; two sisters-in-laws, Minister Meriam Newsome of Panoma City, Fl and Betty Harris of Virginia Beach, VA; one step daughter, Florencia Payton Miller of Virginia Beach, VA; a special aunt, Mozella Pettiford of Portsmouth, VA and devoted cousin, Ms. Shirley Pettiford Cherry of Portsmouth, VA along with a host of nieces, nephews and a life long friend, Elizabeth Alston-Moody. Gloria, I can’t believe you left us so quickly. As a member of the I. C. Norcom Class of 1954, you were always supportive. We were just meeting to plan our 65th Class Reunion. We will miss you and continue to call your name. May your journey to the other side of life be smooth and may you be warmly greeted by our other classmates, your family members and friends. Ashe! Aunt Gloria was my play aunt in the 1960s. My Godmother when people still had those. She and my mom were the pretty girls at Norfolk State University when it was “Little State”. What a sublime Diva she was. So classy and elegant. I remember those days with fondness and I am glad that I had a change to be part of your life. God Daughter Claudia Cox Dawkins of Howard County, MD by way of Portsmouth, VA.
Ms. Gloria as a member of the Portsmouth Chapter of Drifters Inc. you will be terribly missed. I’ll miss those times you would call me to see if it was ok for you to ride with me to the meetings and then try to sneak me a little card with $5 whether I wanted you to or not. I’ll miss your sweet demeanor and classy style.